After 60 years of violent conflict, Colombia ended up with more than 5 million internally displaced people, a population mainly composed of women and children living in extreme poverty. 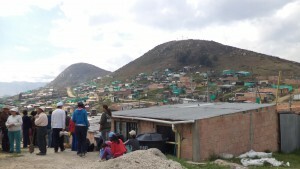 Proactiv provides legal assistance, mechanisms and remedies to the communities in the periphery of Bogotá and the municipality of Soacha, giving them access to justice, truth and reparation. Besides informing them about the rights they have as victims of violence, all work is done on a pro bono basis. The prize was used to help connect people with these services. The project also aims to train community leaders by providing them with knowledge on social policies and leadership. In addition, “health days” are organized, as well as community bonding events.